Any business’s success can be counted with the profit and loss statement or income statement. 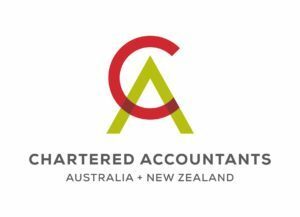 With best accountants in Melbourne, we prepare the summary of income and expenses for the business, including cost, revenue and expenses analysed over a period of time. The statement can be prepared over requirement on monthly, quarterly or yearly basis at the end of the financial year. With profit and loss statement, you can track down whether you are in profit or loss. Accounting is the highly important for the business health. With us you can manage the accounting process. We take care of the entire balance sheet or other invoice and the documentation necessary to keep the money matters managed. Accounting work is when you actually know what the necessary steps are you need to take and follow the same. We make doing the on boarding procedures in any of the areas it is necessary as this is quite process one need to focus over. This gives a new height to your company’s operations and culture. As, if this work is done with efficiently, then the results are better productivity, for enhanced team morale and better enviable employee retention rates. Our team of experts does in the same way while keeping an eye to the administrative tasks. Client invoice is like the heartbeat for any of the business. If you are not getting remuneration for the services, then this business would change to the charity. With us, you would get invoice for the business expenses. So, that calculation can be done whether you are walking on the path of profit or sinking slowly to the loss of the business. Double checking the accounts and other payment statements is what that is highly necessary, making the accounting work smooth. Any company can do that same for the support of business, as accounting is quite complex issue and if you can’t handle that work, then our team is here to offer you the right kind of support with correcting the mistakes. You can also ask to make done other calculations to be done in different ways. Calculations can be difficult to understand, but, we explain the same in a simple way. Managing the entire expenses can leave you with the mess and sometimes, it is having lack of clarity as to what is being claimed for and why that is to be done. Our team of experts preparers the expenses process with proper calculation so that you needn’t to be stuck in that mess or any of the confusion.